Many of you know that I am not great at asking for help. But today, I'm asking. Not Ketchup, my line of all-natural sauces, is about to undergo a huge change. 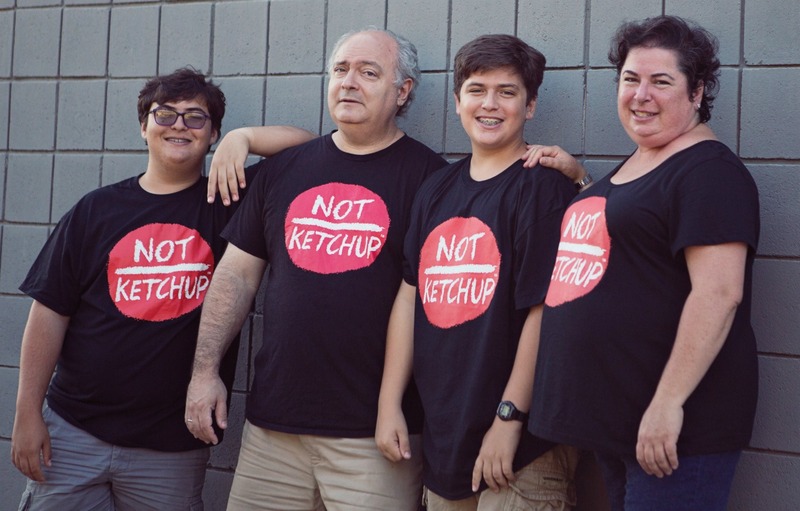 By the end of the year, all five flavors of Not Ketchup will be made with zero added sugar. And every new product I create going forward will be made the same way: sweetened with fruit and nothing else. No added sugar, no artificial or non-nutritive sweeteners. Sweetened by nature. Why am I taking my business in this direction? It's simple: My health changed, so my life changed. And now my business is changing. In August 2015, shortly after the family photo above was taken, I was diagnosed with type 2 diabetes. I had been ignoring the warning signs for years, so when the actual call came from my doctor, I wasn't surprised. But I was angry with myself. And determined to do something about it. After only a few months of eliminating added sugar, careful low-carb eating and regular exercise, my blood sugar numbers were normal again. My diabetes is controlled, but it's never going to be gone. I'm going to have to eat mindfully for the rest of my life. I realized quickly that I am not the only person trying to cut down on or eliminate added sugar. 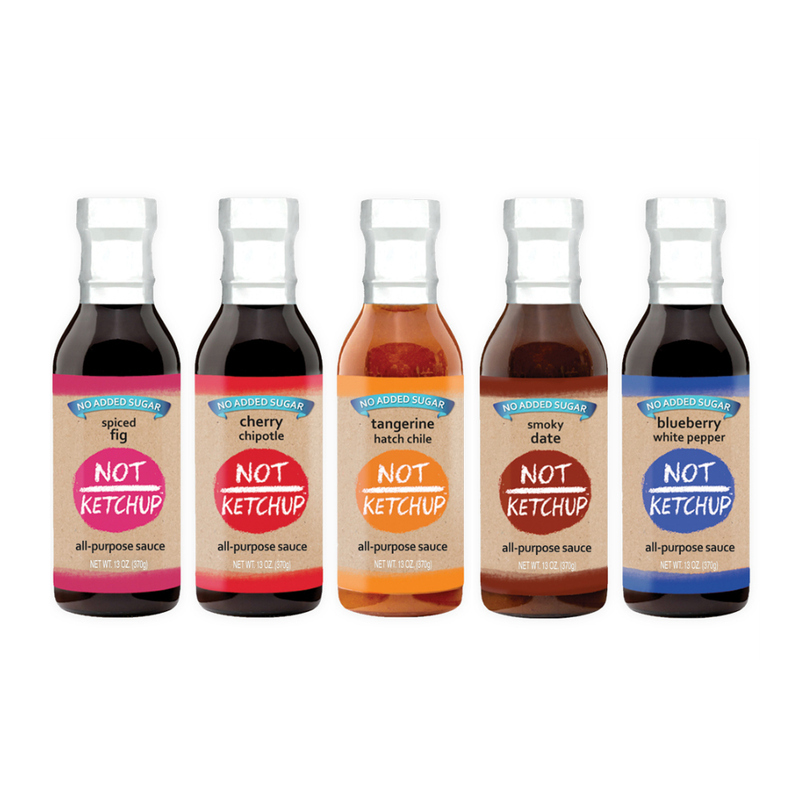 While many people (including me) love my original Not Ketchup sauces, they do contain added sugar. And it's time for that to change. Two of my Not Ketchup sauces are already made without added sugar (Tangerine Hatch Chile and Cherry Chipotle), and they are by far my most popular products on Amazon. Over the next few months I'll be adjusting the recipes for the rest of my Not Ketchup sauces, making test batches, redesigning and reprinting labels, and producing my first cases of the new *no added sugar* Smoky Date, Blueberry White Pepper and Spiced Fig Not Ketchup sauces. Everyone who's tasted the new recipes says they're even better than the originals, and I agree. I'm also working on additional flavors made without added sugar that I know you're going to love. I'm running a crowdfunding campaign on PieShell to help me take Not Ketchup in this new, healthier direction, and I'm asking for your support. Any contribution helps, even if it's only $1. Rewards start at $30 and will be shipped in time for holiday gifting - wouldn't it be great to give your health-conscious friends and family delicious, unique, Paleo-friendly Not Ketchup sauces made without any added sugar? And to those of you who have already contributed, thank you. Your support means the world to me. 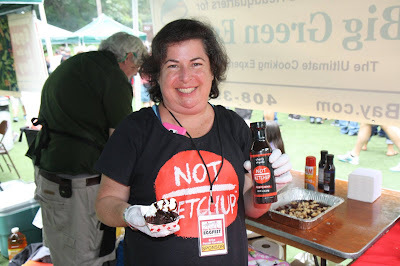 Click here to help me bring my new, healthier Not Ketchup sauces to kitchens around America. 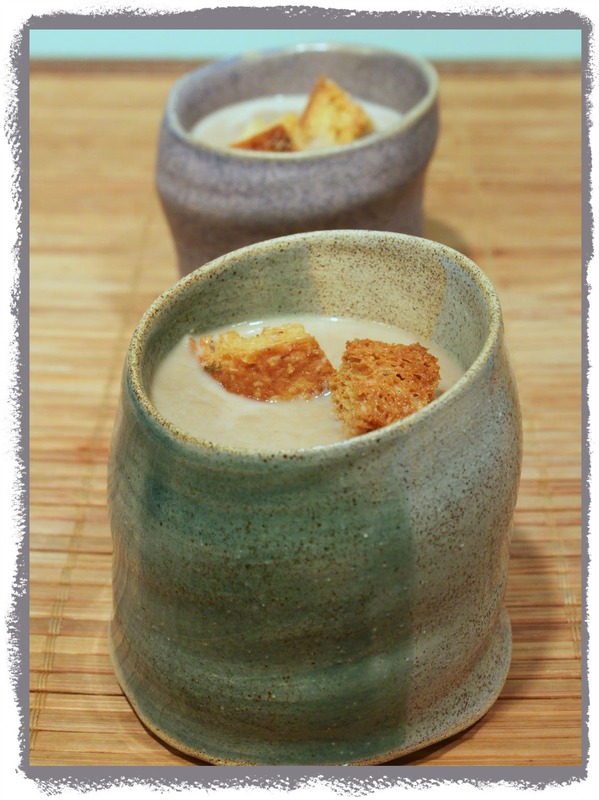 We eat a lot of mushroom soup, especially now that I am following a low-carb, high fat diet to control my diabetes. And yes, I am in love with an appliance. Why are you smirking? A kitchen appliance. Get your mind out of the gutter. My Vitamix blender is my sweetheart, my crush, the apple of my eye. An immersion blender is handy when you're making soup because you can puree it right in the pot. But it never gets totally smooth. 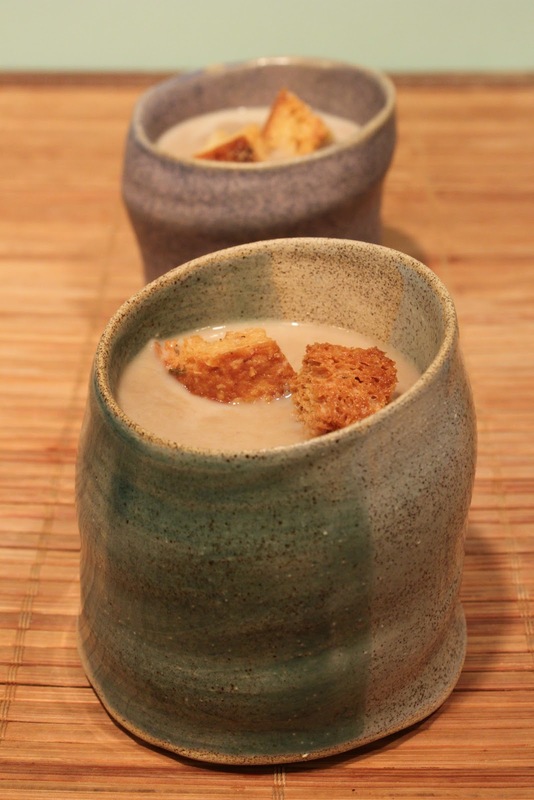 I've made this cream of mushroom soup many times with an immersion blender, and while it tastes fabulous, it's always got a little texture to it. But the Vitamix produces cream of mushroom soup as smooth as milk. The cream I added just gilded the lily. I'm a convert. The Vitamix is expensive (I bought it at Costco for about $400) but I think it's worth it. There's a lot of soup in my future. Note: No one paid me anything or gave me anything to write this post. I bought my Vitamix with my own hard-earned money. And I intend to keep it for a good, long time. The link included in this post is an Amazon affiliate links, so if you click and buy anything, I will get a (very small) commission. The better your blender, the smoother your soup will be. Flavorful Baby Bella mushrooms (also known as crimini mushrooms) add more personality than standard white button mushrooms, but use any mushrooms you like. Add the butter and oil to a large pot over medium-high heat. When the butter melts, add the chopped onion and saute about 4 minutes, until the onion is softened. Add the mushrooms and chicken stock. Bring the soup to a boil, turn down the heat, and simmer gently about 30 minutes, until all the vegetables are soft.Transfer the soup to your blender, working in batches if your blender isn't big enough to hold the whole pot. Puree the soup in the blender until very smooth, 1-2 minutes depending on the manliness of your appliance. (Alternatively, puree the soup in the pot with a hand-held immersion blender. )Return the soup to the pot, add the cream, and stir just until steaming. Season with salt, pepper and lemon juice. Serve immediately.